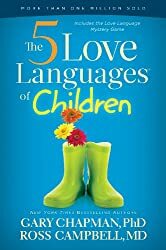 The final love language discussed in the Five Love Languages of Children by Chapman and Campbell is acts of service. On the surface, acts of service seems simple and straightforward. You do nice things for your child and she knows you love her. It is not, however, that cut and dry. “Don’t view acts of service as a way to manipulate your children” (page 90). “…if we parents give in to desires or even demands for too many gifts and too much service, our children can remain childishly self-centered and become selfish” (page 90). “However, this caution should not keep parents from using the language of service and gifts in appropriate ways” (page 90). “You should do for your children what they cannot do for themselves” (page 91). This means that when your child is ready for it, you teach him how and have him do it himself. You feed a 6 month old with a spoon, but a 6 year old is capable of feeding himself. A 3 year old won’t be able to make her bed on her own, but an 8 year old can. So you start life doing the service acts for the child. Then you move on to the intermediate step. That is when you teach them how to perform acts for themselves. Does it take more time than doing it yourself? Absolutely yes. Will it be more sloppy and less efficient? Most definitely. “Parents who are too busy to teach children how to do laundry, or too perfectionistic to let them do it, are not loving those children but crippling them” (page 91). This is where the line gets harder–where things aren’t so cut and dry. You want your children to learn to be self-sufficient. You want them to learn to do things for themselves. But you don’t want to lean so far in that direction that you offer no service to your children. So make sure you offer service and help to your children when they need it while still balancing the teaching of self-sufficiency. When you perform acts of service, be sure it is in your heart that you are serving. Do so with love. I know things get mundane. Changing another diaper gets old. Filling up that cup of milk for the fifth time before you have even had a chance to take a bite of your own dinner can be frustrating. Try to keep the proper perspective. If you serve grudgingly, your child will feel that, and any love that could be communicated through the service will be negated by your negative attitude (see page 94 for more). “When parents serve their children with a spirit of resentment and bitterness, a child’s physical needs may be met, but his emotional development will be greatly hampered” (pages 94-95). And don’t feel bad if you have ever offered service grudgingly. I would venture to say all of us have. Have you ever entered that nursery at 3 AM in a bad mood because you are up in the night? You are not a lone. As Chapman and Campbell point out, “Because service is so daily, even the best parents need to stop for an attitude check now and then, to be sure their acts of service are communicating love” (page 95–emphasis added). As you serve, you teach your children to serve. As you serve your children, neighbors, and spouse, you show them how to serve. I keep hearing about this book. Thanks for your take on it. Maybe I will pick it up soon. You are welcome Ruth! It is hard to tell, Kristy. And I wonder how many kids end up "multi-lingual" like the authors encourage parents to strive for.